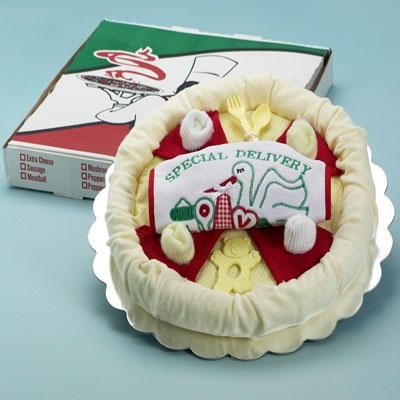 This may be the most delicious looking baby gift you'll ever see. 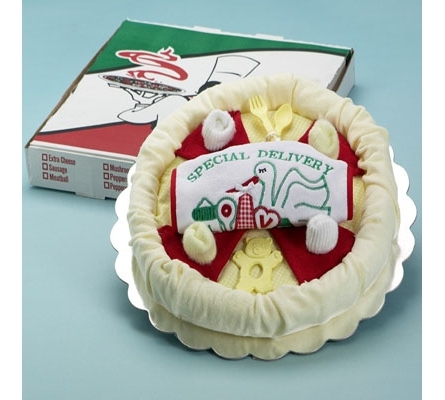 It's our "Special Delivery" Pizza. Clearly inspired by the classic round neopolitan pie, this one however is made exclusively with baby in mind. It uses all natural layette ingredients and more than a dash of creativity to bake up this beautiful and most unique baby gift. Please note: pizza box not included.